At JPG, we love when couples choose places and activities for engagement shoots that are unique to them. 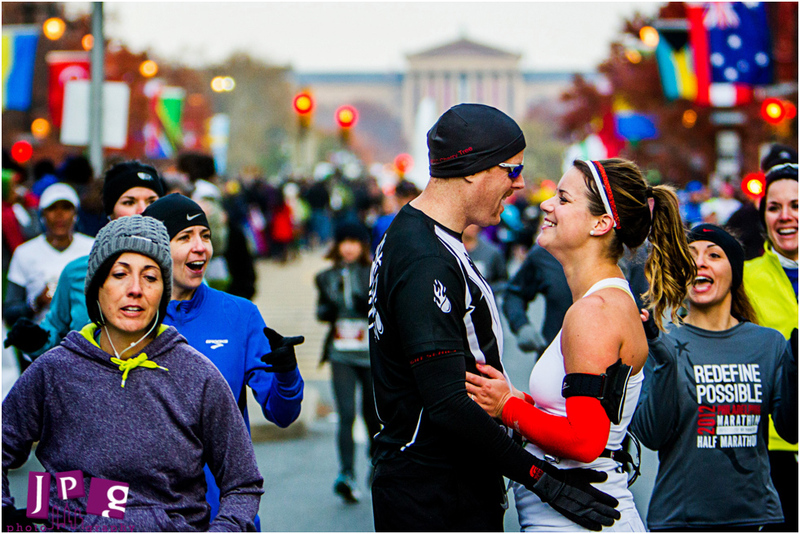 For Melissa and Jason, this was the Philadelphia Marathon, where they met. I’d never done a shoot like this before, so I didn’t know what to expect when I hopped out of bed at 6am to be there bright and early. The couple decided that they didn’t need to finish in first this year, so they’d hang out in the back where the crowd is less dense to they could get the best pictures. Melissa wore white and Jason had a tuxedo-style running shirt, and when they paused for a kiss, everyone thought Jason was proposing! While the other runners swooned we snapped a few pictures amidst the smiles. We met back up later in the day after for some photos around Waterworks and the Philadelphia Art Museum. We ended up catching one of the best sunsets I’ve ever seen in Philly, so we took advantage of the light and color for some special shots with the city, the Schuylkill River and Boathouse Row in the background. 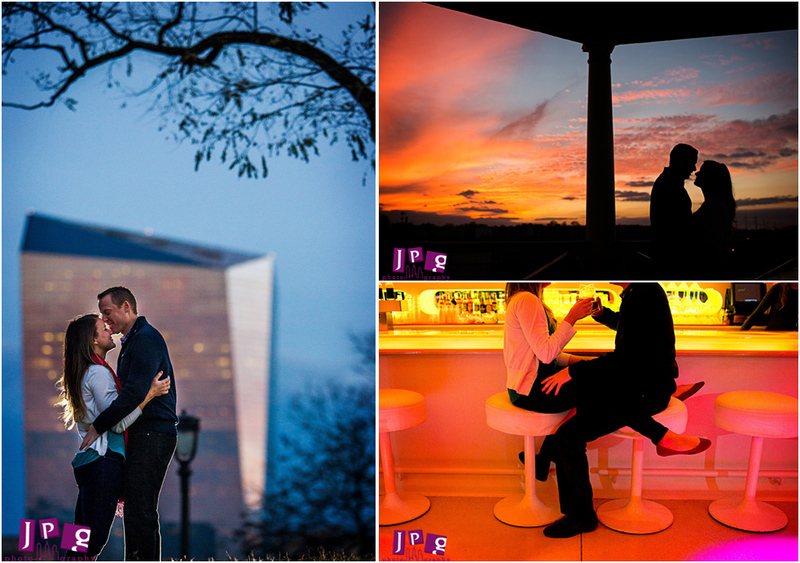 These are some of our favorite locations to shoot, so we were spoiled with such a gorgeous sky. 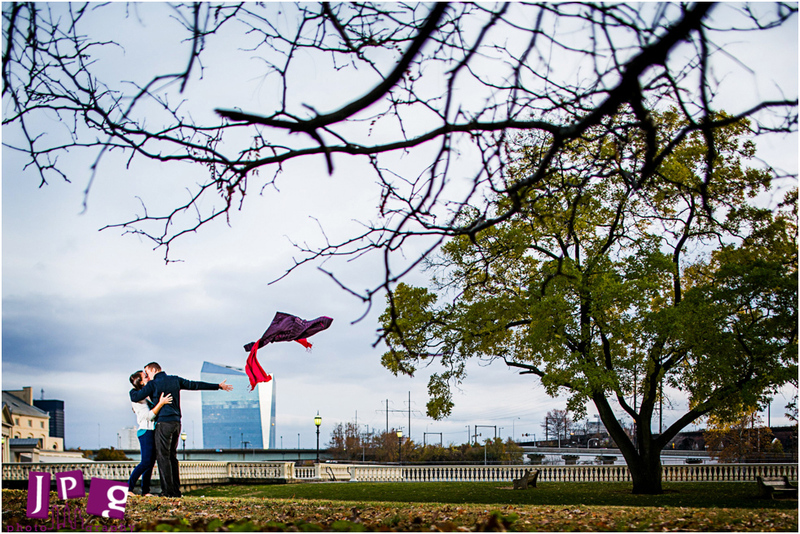 Melissa and Jason, we had a blast on your engagement shoot, and we can’t wait to be there for your wedding later this year. Thanks for choosing JPG!